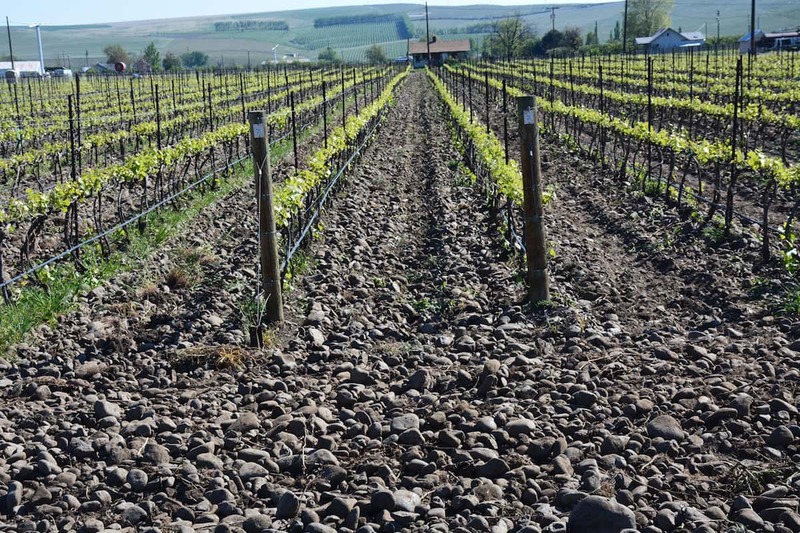 The boundaries of the Rocks District of Milton-Freewater are based on the geographical distribution of soils of the Freewater series, which are derived from the cobblestone-rich gravels deposited by the Walla Walla River. 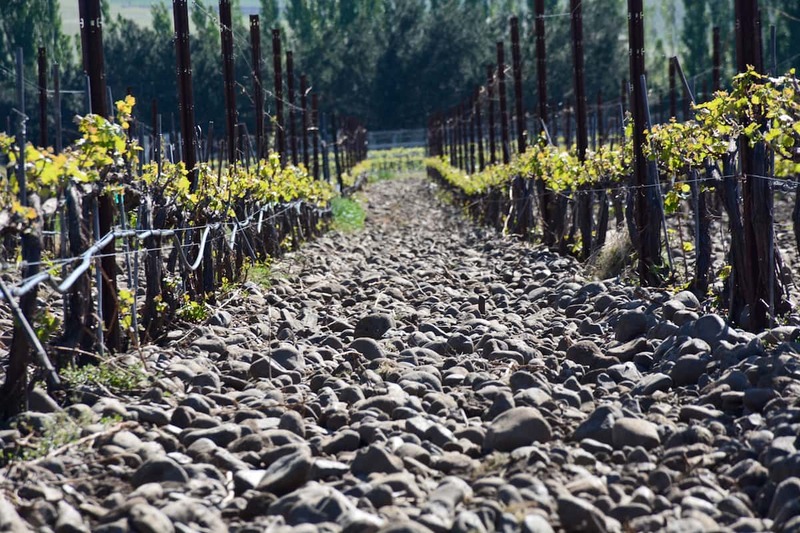 The cobblestones consist entirely of basalt, a dark-colored volcanic rock (that was) derived by erosion of the Blue Mountains. 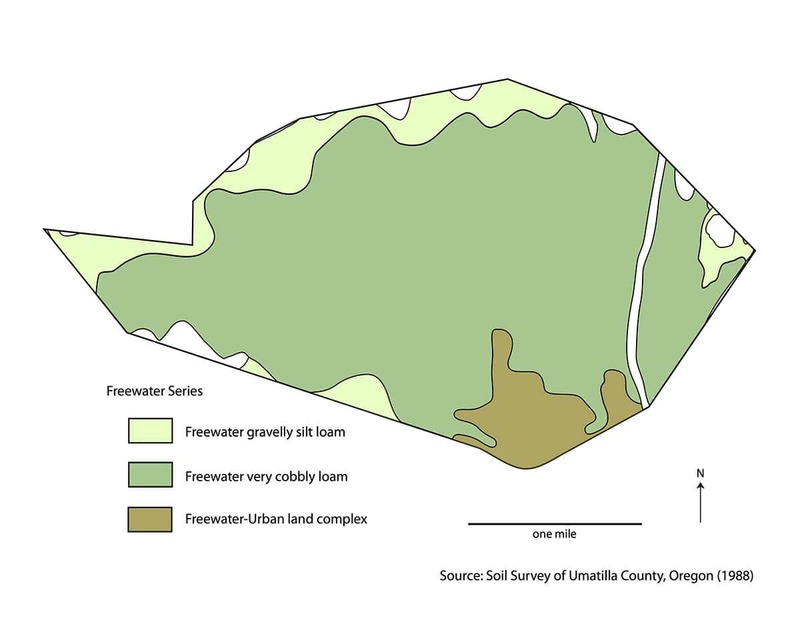 The Walla Walla River experiences an abrupt decrease in gradient and velocity where it exits the foothills of the Blue Mountains and enters the broad flat floor of the Walla Walla Valley. 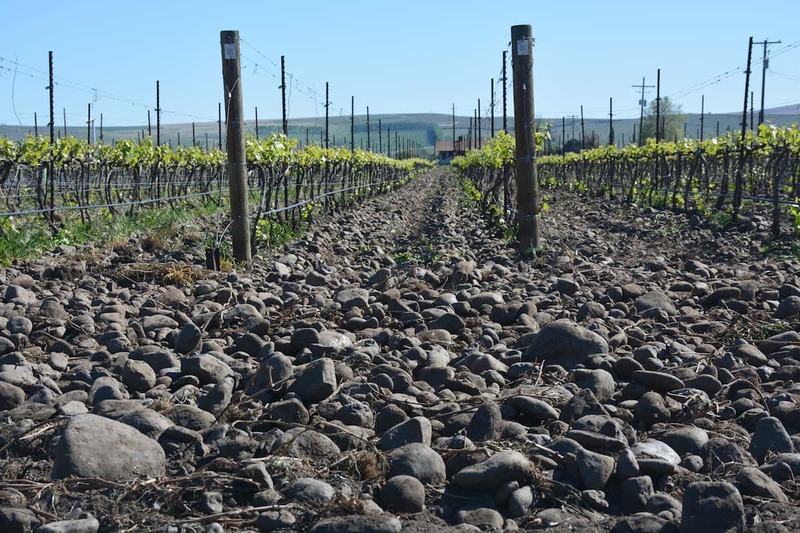 As the river slows, it no longer has the power to transport cobblestone-sized rocks and they accumulate on the floor of the channel. Eventually the channel is blocked and the river seeks a new course. Each new channel is ultimately filled with cobblestones, so the location of the river is constantly shifting. 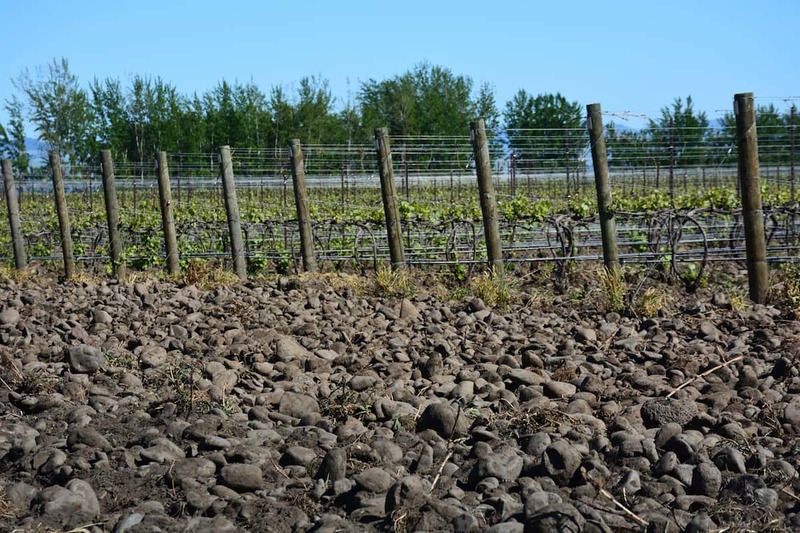 As it shifts, it spreads a fan-shaped deposit of gravels across the landscape. 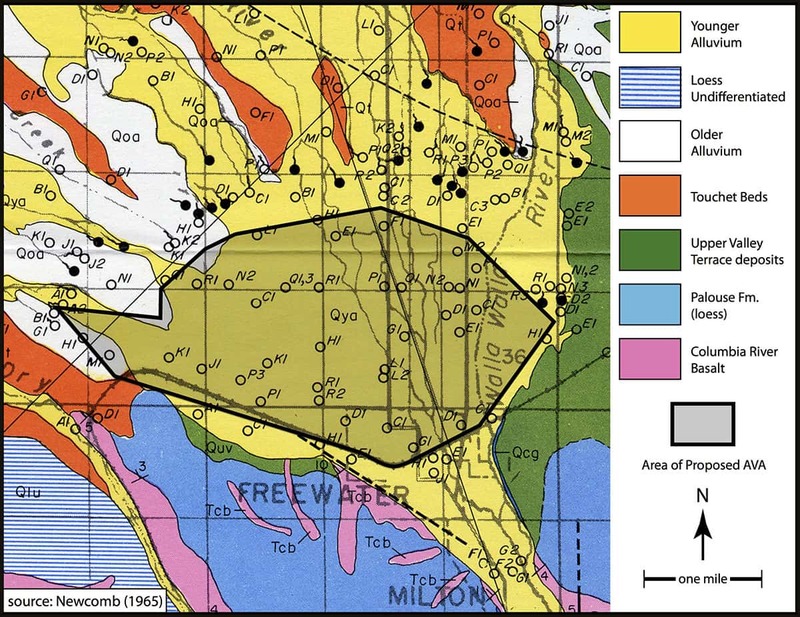 Geologists refer to these types of landforms as alluvial fans. 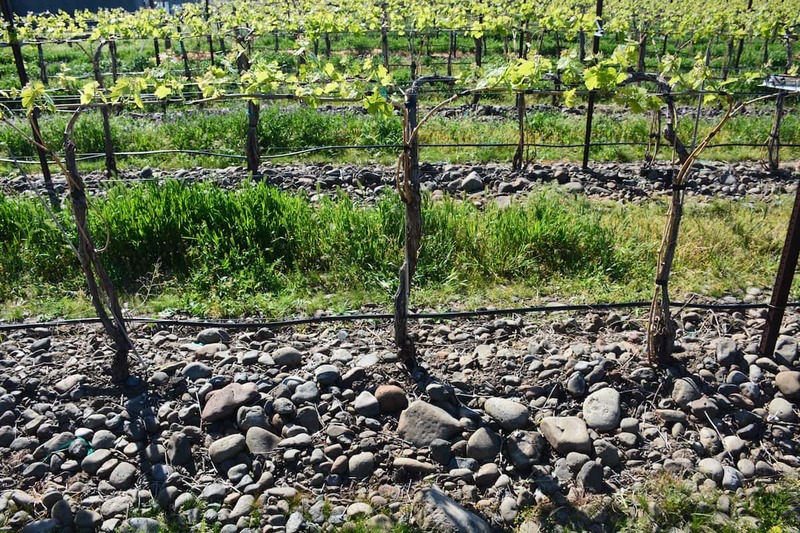 The Freewater series soils that mantle the alluvial fan of the Walla Walla River have unique attributes that strongly influence the cultivation of wine grapes and impart distinctive sensory characteristics to the wines produced from those grapes. 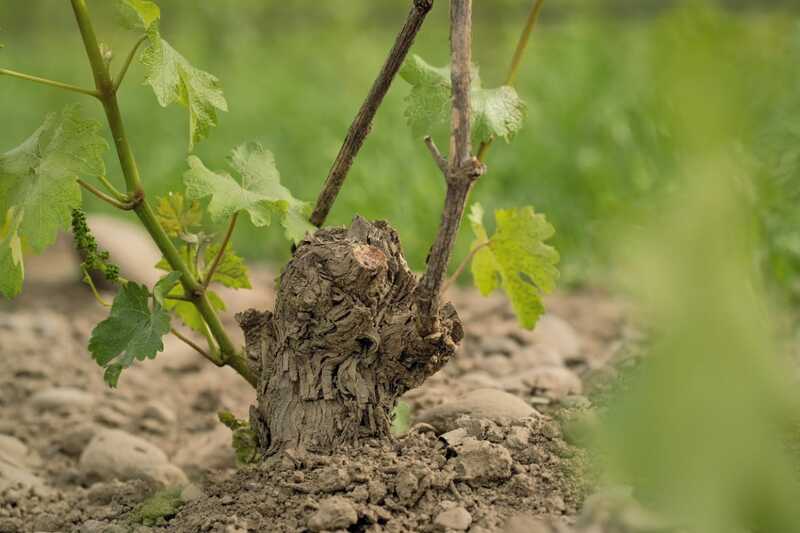 Due to their coarse texture, the gravelly soils are excessively well drained, which encourages the vines to root deeply in pursuit of water. 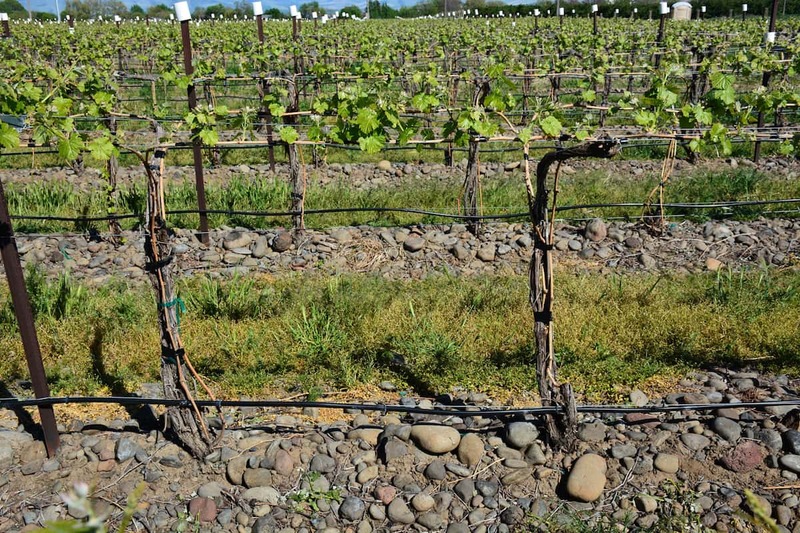 The coarse texture also discourages erosion, so the area between the vine rows can be free of cover crops. 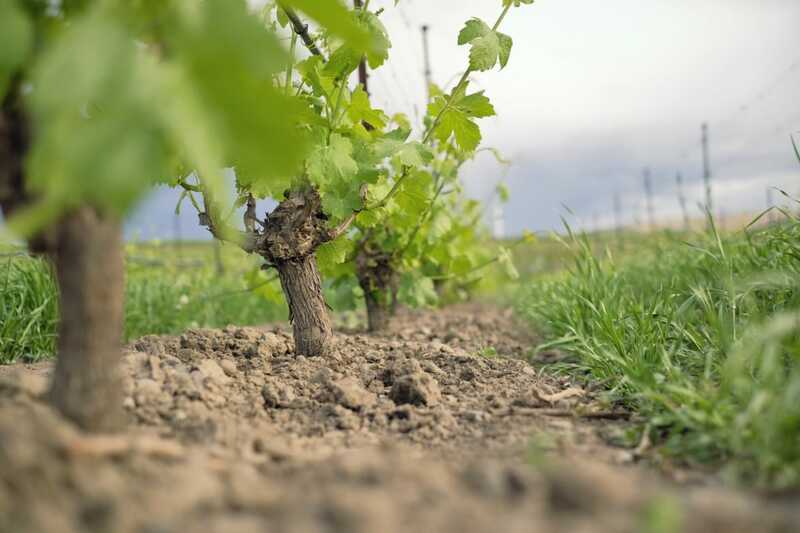 The rocky bare soil between the rows absorbs solar energy and transmits it efficiently to the root zone of the vines promoting earlier onset of the phenological stages of the vine growth such as bud break, flowering, veraison, and ripening. 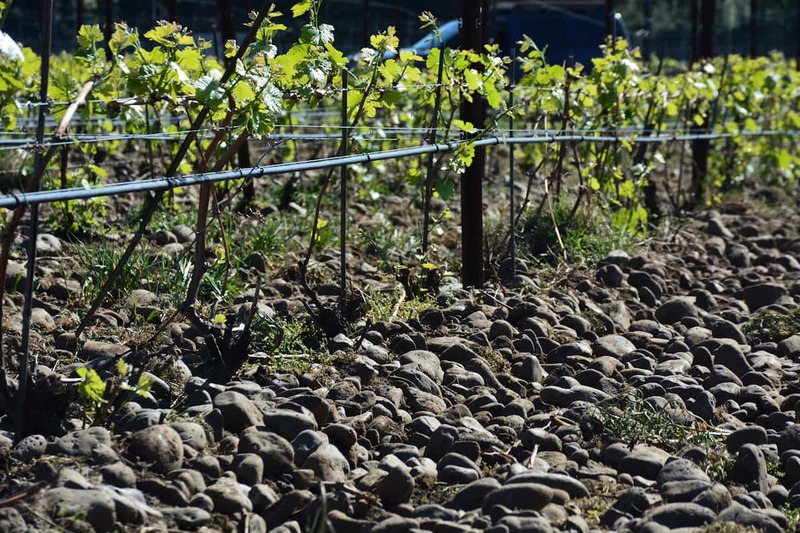 The surface stones radiate heat that warms the grape clusters and influences the production of phenolic compounds during ripening. 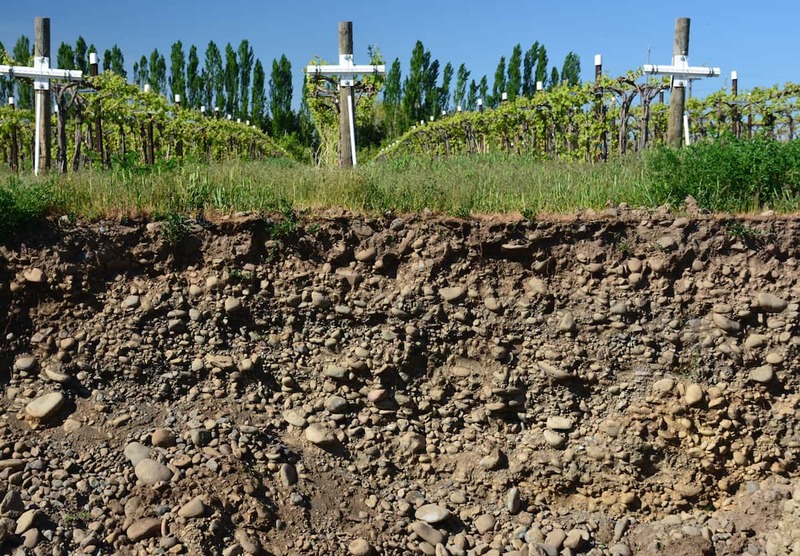 The relative abundances of mineral-derived nutrients in the basalt-based soils of the Rocks District are distinctive, especially when compared to the soils of the surrounding viticultural areas that have soils derived from wind-deposited silt. 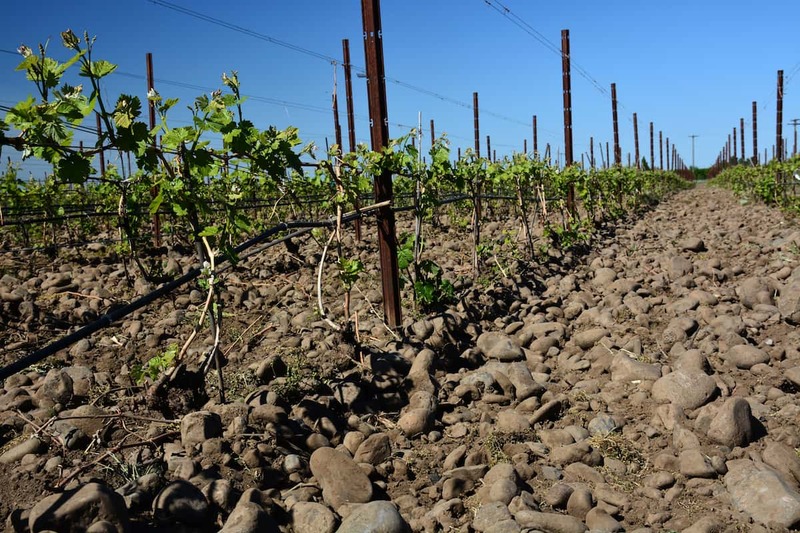 Together uniformity of geology, soils and landscape are what make The Rocks District AVA unique. 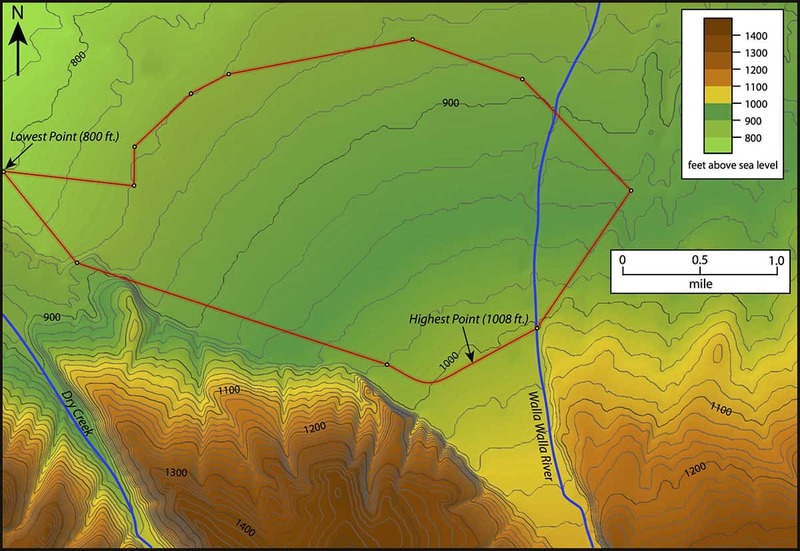 This is illustrated below with a geological map, elevation map and a soil map, respectively.